I don’t even know what to think about this crazy world in which we are living. I guess it’s really no surprise that we are going to hell in a hand basket (wherever that phrase came from). I know we have to keep “pressing on”, but it’s not always easy to do in our PC, “don’t do this”, “don’t say that world”. I guess as long as we know who Jesus is and that He will be coming back to pull us out of here before the rest of the story unfolds, we should feel secure. So, anyway. Catch a fish lately? We’ve been continuing to catch walleyes on Gull, but they haven’t been too monstrous. I am hoping to catch something monstrous in the ocean next week and if it doesn’t happen there, I’m going to try and catch a Winni Pig up on Lake Winnipeg in March! We had a fun little event last week at the Quarterdeck Resort and Jakes On The Lake. 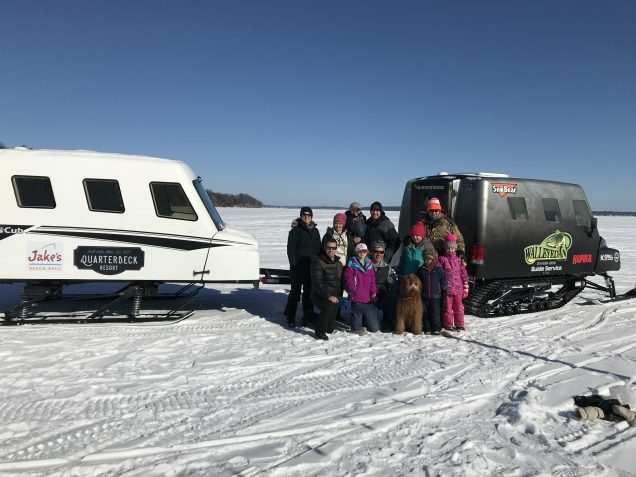 The SnoBear and SnoCub were in action and we showed the kids and parents a fun time out on the Gull Lake ice. One of the cool things that happened was dropping the Vexilar underwater camera down on a sleeping eelpout for some of the folks to see. I did have to give a couple of Filet O Fish coupons away last week, but that’s just the way it goes. I’m loving the new SnoBear and wrap. My hope is to get the SnoCub wrapped too. 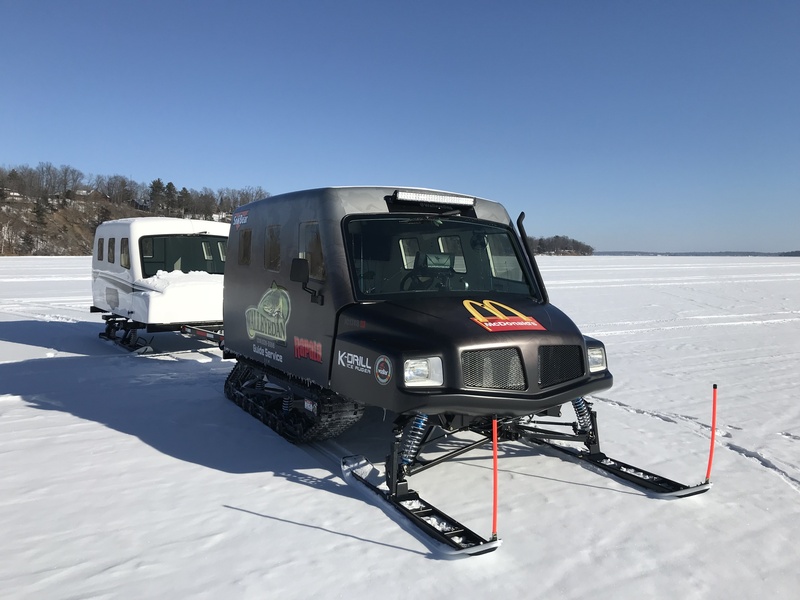 The plan is to keep the SnoCub out at the Quarterdeck this summer and do a little promoting for the winter of 2019 and beyond. As we wind down from the winter season, it’s time to ramp up for the open water season. My new Larson FX 2020T can’t come soon enough, as my Hummingbirds, Talon and trolling motors are waiting patiently! Our guides are all on board and I think they are probably getting tired of the hard water. It’s time to order up some new Walleyedan merchandise, get some brochures made and keep the boat floating! I’m really excited to have Andy up at Fish Lectronics install the new 15′ MinnKota Talon. This is a tool that you really will appreciate, I cannot believe how versatile they are and how many more fish come into the boat because of them. Well, I suppose that’s enough for now, I have to get things cleaned up so I can be ready for a little talk tonight with the local FOCAS (Fellowship of Christian Anglers Society) gathering.